Born on February 3rd 1967, a native of Yagba in Kogi state of Nigeria, Pastor Sam Adeyemi personify the saying that behind every success and achievements lies plenty stories to tell. Daystar christian center was on November 18, 1995 inaugurated at 4th floor of Eko Chinese hotel on Allen Avenue, Ikeja Lagos. Pastor Adeyemi recounts how tough things were for him in the beginning, when in 1994 he had to go on fasting and prayer with his wife, Pastor Nike Adeyemi asking God to show him the next focus for his life and ministry and in July 1994 received the vision that lead to the establishment of Daystar Christian center and success power international ministry. The church which currently is worth over 2 billion naira was in the early stage not able to pay its rent at several locations it had hold it church service in Lagos, Pastor Sam recalls how the manager of his rented church space chased his church workers out and warn againts holding prayer meeting there, with the manager of the space occupying with his friend to play games in the rented hall and how he had to beg him to allow him hold service there that day,with promise he will pay by the end of the service, He recounts how the said manager sent an usher to him at about 10 minutes to the agreed hour even when the service was going on and he had to pause the service to collect offering so as to pay the manager. 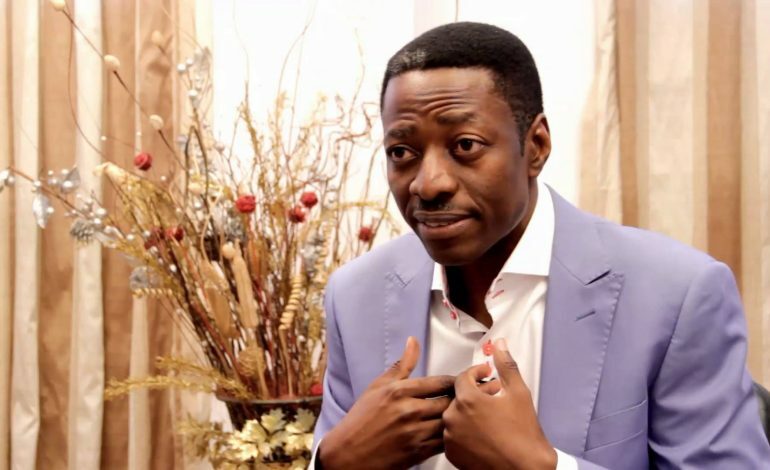 Today, that is history, as this humble and spirit filled man of God has raised an army congregation of men and women with quality Christian leadership strength,with the church experiencing astronomical growth and success over the past two decades of ministry.Pastor Sam Adeyemi has authored several religious and biblical based multovational books including the best selling -Success is who you are and Parable Of Dollars. Other authored books include Ideas Rule the World, Start With What You Have, Second Revolution, Multiply Your Success: LEAD and his latest additions, Nigeria Of My Dreams, Generation Z+ and We Are The Government. This entry was posted in PERSONALITY and tagged christian, CHURCH, Daystar Christian center, location, MARRIED, Nike Adeyemi, pastor, SAM ADEYEMI, SPEAKER, SUCCESS. Bookmark the permalink.